A friend recently looked at the smartwatch on my wrist and said, "Why are you wearing that?" He held up his cellphone. "This can do everything that can do." More, in fact, which is why smartwatches will never be for everyone. But as the technology rapidly improves, wearables are becoming gotta-have-it gadgets for people who want data served up quickly and conveniently, and who still appreciate the personal statements that come with timepieces. With the holidays upon us, I've been checking out some of the newest smartwatches to hit the market, as well as models that came out in recent months that merit consideration. The Apple Watch Series 4 remains the best all-around wearable, but I've grown increasingly partial to the versatility of non-Apple watches running Google's Wear OS operating system. They offer many more watch faces than the limited number available in the walled garden of the Apple Watch's curated functionality, and you can set them for always-on viewing, which is something the Apple Watch can't yet do. The industry trend is clearly that the clunky nature of early smartwatches has given way to sleek, slick styles that will suit any look and attitude (and almost every budget). Most manufacturers also seem to have thrown in the towel on efforts to make battery life last for days. The thinner that these devices become, the less juice they store. Like cellphones, expect to plug in your watch every night. If that's a deal-breaker, these things aren't for you. All the following wearables will work with both iPhones and Android handsets. More and more fashion designers are getting in on the smartwatch trend. Why would you want to plunk down extra cash for a fancy name? Because most of the designer brands are competing on quality and style, serving up tech that goes beyond mere practicality. This is highlighted by the two latest smartwatches from the house of Armani. Manufactured by Fossil Group, which has ties to a number of fashion brands, these are timepieces that aim to catch the eye as well as meet data needs. The Emporio Armani Connected has all the expected functionality—heart tracking, fitness apps, GPS, "swimproof" seals—in a modern stainless steel case. The 43-millimeter diameter might be a little wide for smaller wrists, but that's offset by an attractively slim profile. The flashy A/X Armani Exchange Connected aims for a more classic appearance, the sort of watch a Rolex guy might be attracted to. A word of warning: This sucker is big, with a 46-mm case that all but dominates your arm. Personally, I find any watch larger than 44 mm to be too beefy for business-casual wear, but there are some people who clearly believe bigger is bolder. The Emporio Armani Connected costs up to $395, which is about par for a designer smartwatch. The Armani Exchange wearable is a more affordable $295. If the Apple Watch is the Mercedes of smartwatches, the Samsung Galaxy Watch is the Lexus. The Galaxy Watch runs on its own proprietary Tizen operating system, which limits to some extent available apps. But it still offers one of the best wearable experiences around. Along with a touch screen, the Galaxy Watch has a rotating bezel that makes it easy to interact with. It takes a little while to get the hang of it, but once you get accustomed, it becomes second nature. Samsung wants you to be monogamous with its ancillary services, so the Galaxy Watch features Samsung Health rather than the Google Fit of Wear OS devices, and Samsung Pay instead of Google Pay. The Galaxy Watch comes in 42-mm and 46-mm sizes (I like the 42), and ranges in price from $280 to $300. I wasn't sure what to make of the LG Watch W7, which has both a fully functional touch screen and analog hands—that is to say, simultaneously old school and new school. My first thought was that it was little more than a novelty (and, at an initial $450, a pricey one at that). The more I wore it, though, the more I understood what LG was going for. Glance down at most smartwatches and all you'll see at first is a dark, chilly screen with nothing to say until woken up. The W7, with its silver metal hands, maintains its essential "watchiness" at all times, with a distinctly Movado vibe when set against a dark, sleeping face. Wake it up, and its digital background switches on, imparting whatever data you immediately desire. In my case, that's blood sugar numbers from the glucose monitor I wear for my diabetes. It could just as easily be your heart rate, or stock market figures, or email notifications. The 44.5-mm diameter will fit most wrists, and the device isn't as hefty as some wearables, despite its unusually complicated innards. This watch definitely isn't for everyone, which explains why its price was slashed recently to just $250. But it is a watch for people who retain a fondness for traditional timepieces. Don't think of it as a smartwatch. Think of it as a watchsmart. If old school is your thing, you may prefer the new breed of hybrid smartwatches—analog timepieces that have a small digital component on the face. Top of the line is the Withings Steel HR Sport, which offers the best of both worlds in a 40-mm case. The analog hands are about as watch-like as you can get, while there's a small digital complication that can handle basic fitness tracking, such as sleep, step count and heart rate. This isn't a device for people with lofty digital ambitions. The electronic portion runs on proprietary software, which means you're not going to have access to lots of apps. There's no touch screen. You operate the digital aspect via the crown. But if you're looking for a wearable that makes a strong statement, lasts for a few weeks on a single charge and accomplishes a handful of basic, Fitbit-type functions, this one rocks. The Withings Steel HR Sport costs $200. As you've no doubt already figured, smartwatches can be expensive. The best entry-level device to hit the market is the $200 TicWatch C2, which offers a surprisingly high-quality package for a more affordable price. The TicWatch C2 is everything the larger, huskier TicWatch Pro isn't. It features smooth, minimalist lines and none of the macho flourishes, such as a numbered bezel, intended to convey a readiness for action. The C2 comes in three stainless-steel cases. The silver and black versions have a 43-mm diameter and accommodate a 20-mm band. The rose gold, which is the shiniest of the trio and seems intended for women, also has a 43-mm case but takes a slightly narrower 18-mm band. This lightweight watch offers a classy and classic look without the designer or name-brand markup. It also makes a great second-string timepiece for anyone with a showier device. Speaking of showy, the Michael Kors Access Runway, also from Fossil Group, joins its Armani cousins as a designer wearable that's more suitable for the office than for play. The unisex design is more conspicuous than some might prefer—the gold version will turn heads across the room—but it has a pleasingly solid feel. Its 41-mm diameter is perfectly sized for anyone who wants a smartwatch that doesn't overpower your arm or weigh you down as the day goes on. I found the Access Runway to be one of the more comfortable devices I've tried, which counts for a lot if you'll be wearing it for more than a few hours. It costs up to $350. I was once given a Montblanc pen as a gift. It did nothing that a Bic ballpoint couldn't do, but it did it with considerably more style. Can the same be said for luxury smartwatches? I test-drove the Montblanc Summit 2, which costs about $1,000, making it one of the priciest wearables available. 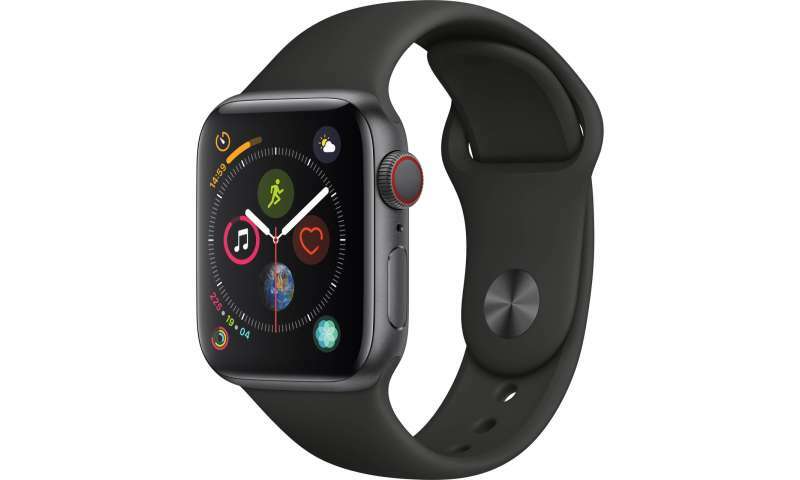 (A top-of-the-line, cellular-equipped Apple Watch Series 4 costs a mere $800 by comparison). Is the Montblanc worth it? All I can say is that the steel case feels exceptionally well built, the 42-mm diameter is the perfect size, and the high-grade leather, quick-release band can be easily adjusted to snugly fit any wrist. And you get exclusive Montblanc faces that, while completely digital, can deceive with a convincing analog look. It is, by any measure, a superior smartwatch. But is it worth $1,000? Yes, for anyone who doesn't have to ask the price. Samsung unveils circular smartwatch, but are apps available? Early Look: How does Apple Watch stack up vs rival watches? Your friend is a liar and a fool.